With such a wide assortment of wood hall trees – from understated to elegant, classic to contemporary – you’re sure to find one that’s just right for you. Plus, Amish artisans handcraft them all from solid hardwood. So they’re nicely designed, sturdy and long-lasting. The Acorn Cherry Hall Tree has an Acorn top and fluted post. Solid hardwood Fluted Hall Tree in Oak wood. Rustic construction accents the Hickory Hall Tree. 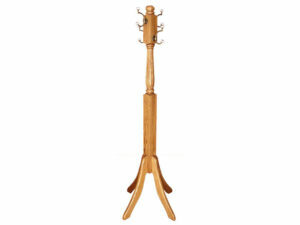 A gorgeous Mission style hall tree featuring Brown Maple wood with an Espresso finish. 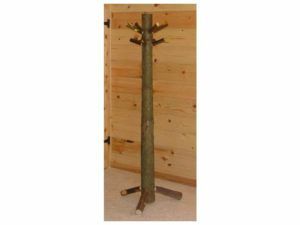 A beautiful Cherry wood Pineapple hall tree with a fluted post. Solid hardwood hall tree featuring a carved pineapple top and fluted post. Solid hardwood Shaker Hall Tree. 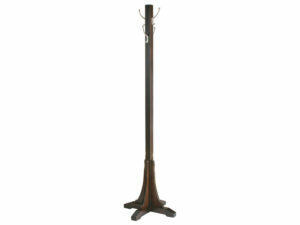 Solid hardwood Hall Tree featuring Mission Slats. 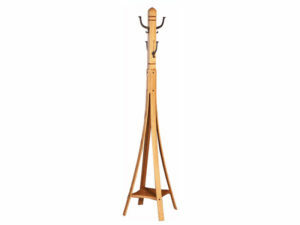 Add a convenient place to park hats, scarves and coats in your entryway or hallway – and do so with style – with a wood hall tree from Brandenberry Amish Furniture. Wide variety. Notice that the collection above includes wood hall trees for kids and grownups alike. So you can place one in a kid’s room. And it would make an excellent children’s coat stand. Also, you’ll find trees with anywhere from four to eight hooks. Plus with different designs. 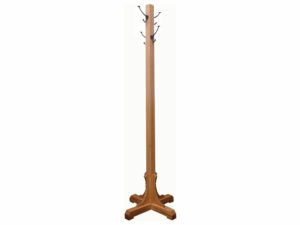 This makes it easy to find a hall tree that blends with your décor and need for storing hats, coats and the like. Artistic creations. Amish artisans artistically handcraft each hall tree. 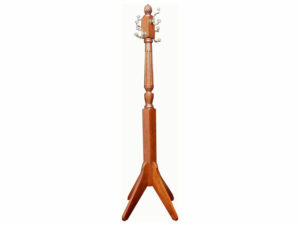 Notice the intricately carved base, top-quality hardware and solid hardwood. 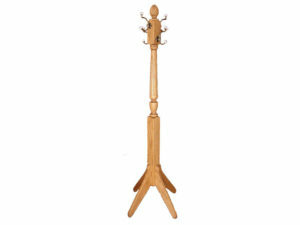 In fact, we can build your hall tree with your choice of wood. Such as maple, oak, cherry or hickory. Full customization. If you don’t see the style of hall tree you are looking for or you would like to make a modification to one of the hall trees you see, please tell us. And our Amish craftsmen will create a hall tree, or an antique hall tree, just the way you like it. Also, if you’re relatively close to Shipshewana, Indiana, visit our store. And explore our wide assortment of quality, Amish-built, solid hardwood furniture for yourself.